Alfresco dining, sweltering subway platforms, and free concerts in the park are all hallmarks of summer in New York City. But summer heat also means we need a great deodorant. Luckily, that doesn’t mean we have to opt for one loaded with chemicals. There are actually effective, natural options that smell great and are affordable and convenient. When choosing underarm cover, it’s important to distinguish between antiperspirants and deodorants, so you know what natural deodorant can and can’t do for you. Also, remember that everyone’s body chemistry and sweat level is different, and your scent varies according to diet, activity level, hormone fluctuations, and emotions. Sometimes you just need a little deodorant, sometimes you need a lot, and what you need can also vary seasonally. Antiperspirants create a physical barrier by preventing the body from secreting sweat. They work by clogging, closing, or blocking pores with astringents such as aluminum salts, so the sweat never reaches your skin. Deodorants work by neutralizing the smell of the sweat by antiseptic action against bacteria. Bacteria needs the right environment to thrive, and deodorant ingredients make the skin too acidic or salty for that to happen. When choosing underarm cover, it’s important to distinguish between antiperspirants and deodorants. Thus, the concern about antiperspirants is that the main ingredient used to block sweat glands is aluminum. Studies have shown that the aluminum in antiperspirants can cause DNA changes, which some researchers believe may lead to breast cancer with long-term use. However, the link remains inconclusive. Antiperspirant labels do carry warnings that users with kidney disease should consult their physician before using the product because kidney troubles prevent the body from getting rid of aluminum. So, why take a chance when excellent natural options exist? There are various types of delivery systems—sticks, roll-ons, sprays, wipes, creams, and lotions. This is a matter of individual preference. I’m not a fan of roll-on deodorants—sometimes they leak, the ball can get a little stuck, and they often leave a white residue. They tend to be wet or sticky, plus they take a while to dry and feel too cold in the winter. I think sprays are great for a quick overall body refresher, rather than as a regular deodorant—especially if you keep them in the refrigerator for when you come home after a hot day. Sprays usually come in glass bottles, which are heavy and potentially breakable, so I wouldn’t carry one on a daily basis or for travel, unless you decant it into a smaller bottle. I’d recommend Erbaviva’s (erbaviva.com) Jasmine and Grapefruit organic deodorant spray as a delightful option. Some brands do have more packaging than others, so if you’re concerned about environmental friendliness, check labels to see company policies. And do opt for pump-spray bottles over pressurized cans with chlorofluorocarbons (CFCs), which destroy the ozone. Over the past months, I tested over 25 natural brands of deodorant. Some are well-known and popular brands, and some are brands off the beaten path, including several local New York ventures. I found that some deodorants smelled amazing, but weren’t as effective; some had a great texture, but were less convenient; some were harder to find, but were highly effective. The brands below are the winners based on the following criteria: performance, convenience, scent, availability, and price. Only Goodness Inside makes an amazing deodorant for sensitive skin. I only chose products with ingredients I could recognize or that proved to be natural after a quick Internet search. It really works! It’s extremely convenient and concentrated—I didn’t need to reapply unless I wanted some added insurance at the end of a very sweaty day. It’s so light and tiny (only 1.5 by 1 by 3 inches), I even put it in my evening bag a few times. Not very strong, neither bad nor good, with a slight citrus scent. Not really delicious, but OK. 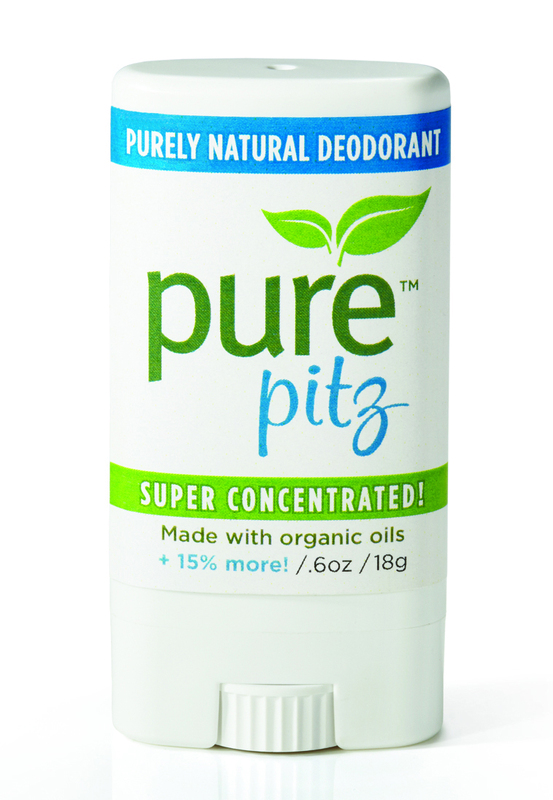 I found PurePitz at Whole Foods in Tribeca, but not at the Whole Foods at Columbus Circle. $15.99 for 1.3 ounces. It seems a bit steep for such a tiny container, but it’s actually not much less than the standard 1.5-ounce stick, and it is concentrated. 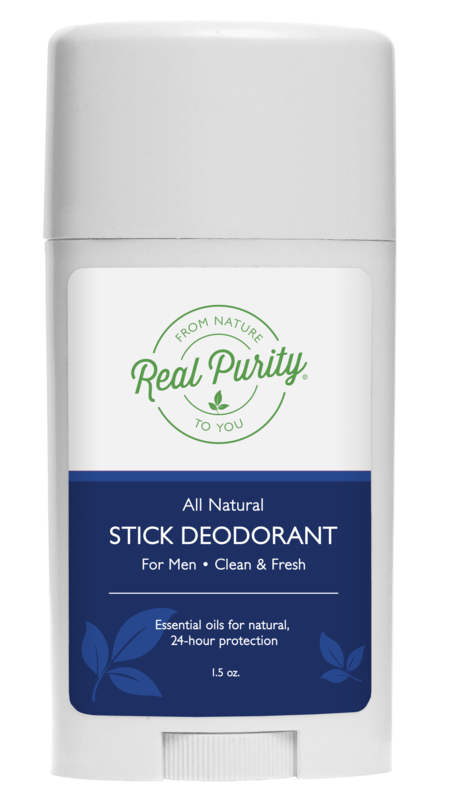 Another stick deodorant that stood out is from Real Purity. It lives up to its name and is truly and astonishingly pure. I love how natural it is, and the women’s scent was amazing. It worked, although it wasn’t the most effective. I had to reapply once or twice, so it’s not ideal for intense workouts or scorching New York City summers, but I think it would be good during the fall or winter, or with less physical activity. It’s the typical size at 4.75 by 2.75 inches, but still small and light enough to toss in your bag for quick and easy reapplications. I love the women’s scent, Rose & Vanilla, but it’s not too rosy and a little sweet. It’s unlike any other natural deodorant I’ve smelled, delicious but distinct. The men’s scent, Clean & Fresh, is pleasant and warm with notes of bergamot. You can only order online from realpurity.com, Amazon, and so on. I tried four different cream deodorant brands, Meow Meow Tweet, Schmidt’s, PuraBela, and Fat and the Moon. They all performed about equally well, but there were various scents and slightly different formulations. I also think they all will take more time to soften in colder weather. Both Schmidt’s and PuraBela come with a little plastic scoop, which is helpful. But the overall winner was Meow Meow Tweet, which is vegan, locally produced in Brooklyn, has a great texture, yummy scent (grapefruit), and comes in a 10-ounce mini. All of these cream deodorants worked well, but sometimes I had to reapply after a rough, active day. Meow Meow Tweet and PuraBela were the easiest to apply, because they softened very quickly and weren’t gritty in texture. Meow, Meow Tweet doesn’t have any baking soda, which all of the other brands do, so the texture was smoother. PuraBela has baking soda, but it’s later in the ingredient list, so I suspect there’s less of it, and the first ingredient is coconut oil, which made it smooth. These deodorants are best used at home or at the gym, where you can wash your hands afterward. I don’t think cream deodorants are convenient for on the go. This is because it can be hard to keep track of the spatula, you need a few moments to soften the product on your fingertips, and you need time to rub it in and spread on an even coat. Plus the jars are glass and too heavy to lug around in a bag all day when you’re carrying it around the city. 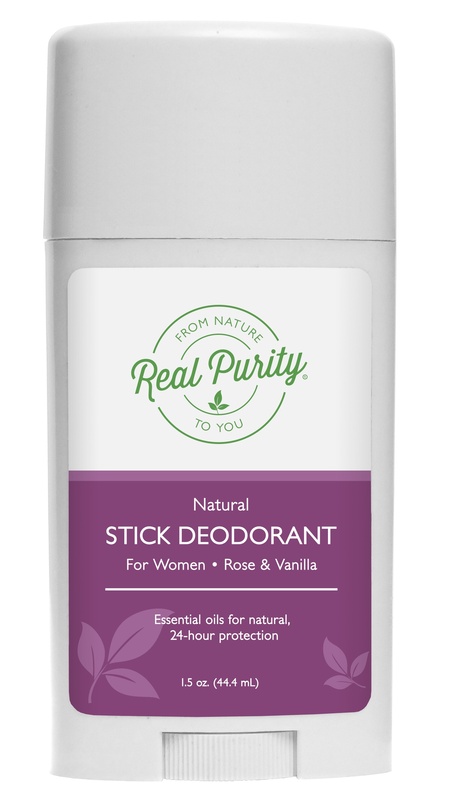 Even when my deodorant works, I often like to do a quick touch-up in between yoga classes just to feel fresh, and a stick is my favorite option. Schmidt’s had the best range of different scents; my favorite was ylang-ylang and calendula. They’re also the only one to have a fragrance-free choice, which is an excellent option. They are also launching a line of stick deodorants in September so if that’s your preference, stay tuned. PuraBela has the most subtle scent, while Fat and the Moon had the strongest scent—I really noticed the black pepper, which is unusual. Meow Meow Tweet’s grapefruit was my favorite scent, almost like lemon meringue pie, slightly sweet with a citrus aroma. You can only order all of them online or a find a local shop. Schmidt’s is more widely available in the city, including at Elm Health on W. 14th as well as at select Whole Foods in the city. However, since Meow Meow Tweet is locally made in New York, 13 shops in Brooklyn carry it and two in Manhattan, one of them being Sustainable NYC in the East Village, which is easy to find. I see deodorant wipes as a luxury and definitely not for daily usage. Meow Meow Tweet: $14 for 2.4 ounces, $8.00 for 1 ounce. PuraBela: $11.50 for 2 ounces. Fat and the Moon: $12 for 2 ounces. Schmidt’s: $8.99 for 2 ounces. Only Goodness Inside was the most unusual deodorant for a variety of reasons. It’s a lotion that comes in a squeeze bottle, has specific application instructions, and is sold by strength rather than scent. It becomes more effective the more you use it, lasts 24 hours or more, and can be used on various areas. It includes a specific formulation for sensitive skin and one just for feet. Additionally, it purportedly offers health benefits because it contains vitamins and Dead Sea minerals. 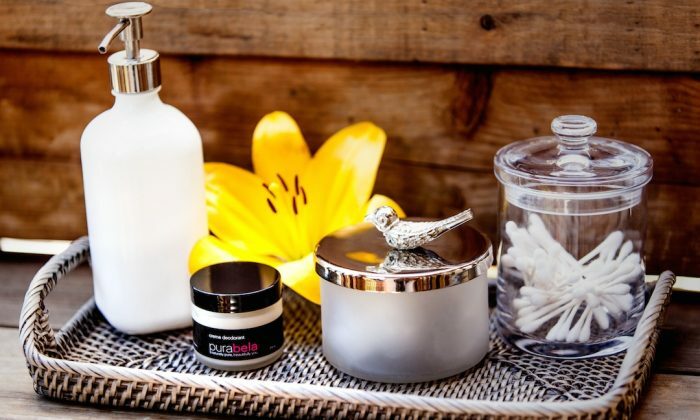 The “soothing deodorant” option is amazing for sensitive, shaved, or waxed skin. For years I’ve been unable to apply deodorant right after I shave—it burns and I break out. I always shave my underarms at night, so they can recover by morning. But in the name of science, I shaved and immediately applied the Only Goodness Inside “soothing deodorant” and waited with bated breath. Nothing! Unbelievable—no burning, no itching, no breaking out. I’m a convert! And if there’s any ingredient you’re allergic to, they’ll make your deodorant without it. It’s easier to apply than the cream deodorants because you don’t need to scoop it out, just squeeze it out. There’s no need to wait for it to warm up and soften; it also dries clear and quickly. But ideally you want to wash your hands after application, because you still have to wipe it onto your body, so it’s not as easy as a stick or spray. Lightweight to carry, it comes in 1, 2, and 3 ounces. Plus they sell .04-ounce samples, which are very tiny and can even fit in your pocket. They come unscented, but will customize a blend for you, or you can add your own essential oils, which is certainly unique. I didn’t try the custom option. You can only buy it online from their site. They will send you free samples; you just pay for shipping and handling. Only Goodness Inside is pricier than other brands, but considering you can customize the scent and ingredients, it comes in different strengths, and is superb for sensitive skin, it’s worth it. They also have bulk discounts and free shipping over $35. Wipes are a relatively new category in the deodorant world, and Pacifica’s recently launched wipes are one of the few natural brands out there. I see deodorant wipes as a luxury and definitely not for daily usage. Supposedly these wipes are biodegradable, but they’re still disposable and so not the most eco-friendly option. These wipes also have less desirable ingredients, such sorbates, benzoates, and parfum, but they don’t have aluminum, sulfates, SLS, parabens, phthalates, or petroleum. As a regular deodorant, it lasts a few hours if you use one wipe for both underarms. Maybe you’re supposed to use one wipe per armpit? The wipes are not heavy, and they won’t leak or melt. You can just put a few in a tiny snack bag, easy! For me, it’s quite convenient when a shower is not an option—just use a few wipes to cover your entire body rather than as a deodorant, and it becomes a lifesaver. Whole Foods in the city carries Pacifica products, but they might not carry the wipes; you’ll need to double-check or order online at ulta.com.